A p erson ultimately responsible for listening to you, creating your individual treatment plan, and applying her skills to create your smile. A committed and experienced dentist. She is passionate about her profession. She believes in quality and personalized attention to her patients. She takes great pride in providing a wide range of dental procedures with a gentle hand. Some of the best compliments received by her from patients have been about her gentle hand and caring attitude. Patient education and patient care are some of her highest priorities. She is very good with children and children love her. 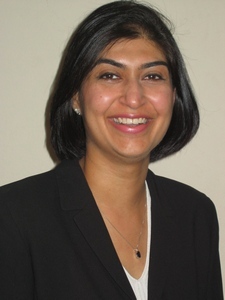 Dr. Archana is a graduate of College of Dental Surgery, Manipal. She has been practicing in California since 1999. She has over 15 years of experience in a wide range of dental procedures. She is a firm believer in continuing education and keeps herself abreast with the latest in the field of dental science, so that the best and the state-of-art dental care is available to her patients. Dr. Archana is a member of American Dental Association, California Dental Association and a member of Southern Alameda County Dental Society. Dr Archana is married to Rohit Gulati and has son, Rohan and daughter Ria.